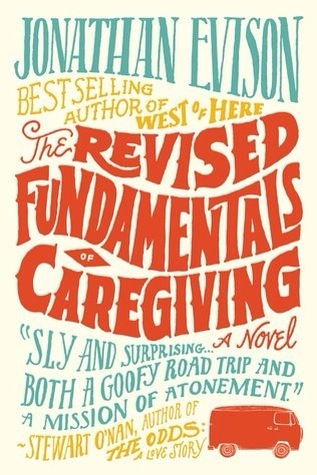 Last week I was involved in research for a new film based on the book: ‘The Revised Fundamentals of Caregiving’. The story, written by Jonathan Evison (2013), is centred around a 19 year old named Trevor who suffers from the rare genetic condition, Ducnhenne Muscular Dystrophy, (DMD), and experiences the trip of a lifetime with his carer Benjamin. To say a bond is formed between the pair right from the off would be untrue, however, with both having experienced challenges in their lives you get the impression this could be helpful for their relationship. Through my networking on social media I was asked by people in America to speak about living with the condition to the actor who would play Trevor since I also suffer from DMD. There has been some controversy recently with Eddie Redmayne playing the leading role in Oscar tipped film ‘The Theory of Everything’ about Stephen Hawking’s scientific and personal achievements in his Iife. Some have felt a disabled actor should have played the part of Hawking due to shared experiences. However, I can see both sides of this argument. In terms of feasibility and availability disabled actors cannot always be cast for these roles. If you want to raise awareness then surely a big budget film with well known cast members such as Paul Rudd and Selena Gomez would help to achieve this. Depending on how disability is focused upon, people with disabilities might be encouraged to get involved with more opportunities – acting being one area. Another young and upcoming actor, Welshman, Craig Roberts, has been chosen to play the part of Trevor and I spoke to him regarding ways in which he could play the role. I tried to give him an insight into important aspects of the disability, both physical and behavioural. I do feel that if the right research has been done, hopefully I have been a good source, then this cinematic piece can be beneficial for awareness of disability in general and fundraising for specific conditions. Obviously like Redmayne the part will have to be played to perfection though, which is no mean feat, otherwise it will look inappropriate. Thus, I am privileged to be a source of research for the film. No pressure then! A major aspect of the condition is its complexity, the progression leads to the same outcome however it can affect individuals differently with the progression much slower with some. It was important for me to share this with Craig because of his role. Therefore, to actually meet him would have been beneficial to share the physical aspects I experience. The role of Trevor could be quite a difficult one because of differences in the progression of the illness. It is just about finding the right balance in order to appreciate the complexity of the progression during his acting. I do feel that possibly a young man with DMD being utilised on set to give useful tips for playing the role to offer a constant insight may have worked well. If I knew about the film earlier then perhaps I could have suggested this because I would have loved to help further. I am sure I still can from a distance though. Not only will disability and Duchenne be important in the film, issues surrounding caring will also be looked at. From my own personal experience caring is a profession which has its many ups and downs, where the carer, the individual being looked after, and families are concerned, like other fields of work. Sometimes it does not always get the respect it deserves. Trevor’s carer becomes a friend to him and became so important for him in a life changing journey – a road trip around parts of America. After going on my empowerment program in Oregon, USA, back in the summer I realised none of that would have been possible without a carer providing me with all the care I required. Caring can be a fragile matter since getting the right balance between it being a job and the social benefits is difficult. So the role of Benjamin that Paul Rudd has to play will hopefully have been researched well. If people are wondering why Craig Roberts was cast for the role of someone with Duchenne then surely they could ask the question – why is Paul Rudd playing the role of a caregiver? The next four or five weeks will be spent on set filming, bringing the pages of the book to life. It will be very interesting to see how well the film works with the book when it is released towards the end of this year and more importantly whether the areas of the DMD the film will show are accurately portrayed. Subjects that will be dealt with have to be appreciated in the right way, but, the lighthearted elements could work well in raising positive awareness for disability. One thing important for the the film is that it doesn’t lend itself to too much sympathy. Disability can be something to be proud of.